Our beautiful 63 room hotel will make you feel at home with microwaves, refrigerators, luxury linens, Wolfgang Puck Coffee and flat-panel televisions in every guest room. 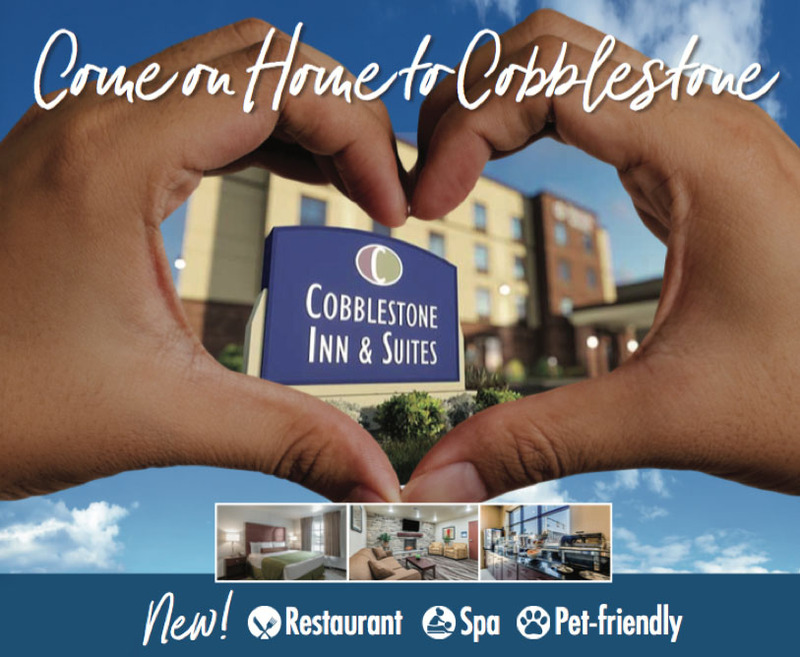 For updates on the exciting Cobblestone Inn & Suites development, specials and to be informed when the hotel is opening for reservations, simply provide your name and email. To make sure you’re ready for your Fairfield Bay visit, fill out the additional address information and you will receive a printed Fairfield Bay Travel Guide. We can’t wait to see you in beautiful Fairfield Bay. Visit Cobblestone Inn & Suites website for more information. Reservations can be made in Fall 2018.